Flying Fish is an award-winning seafood restaurant located in the South Lake Union, Seattle, WA. Best known for a variety of fresh seasonal seafood and a tasteful selection of Pacific Northwest wines and beers. 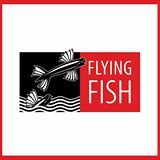 Flying Fish offers the highest quality food with an exceptional dining experience.